At Royal Automotive Group, we believe you don’t have to compromise on quality in order to get a vehicle you can afford. That is why you will find a mix of pre-owned vehicle specials, as well as certified pre-owned vehicles at our dealerships in Tucson. We can even assist you if your credit needs work! See what gems you can find in our inventory, and contact us to set up a test drive today. We proudly serve the greater Oro Valley area. Access to certified pre-owned benefits. 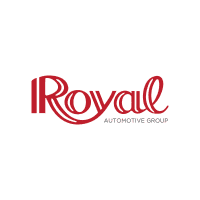 When you are looking for a pre-owned vehicle, make sure to check Royal Automotive Group. We offer more than just great vehicle specials, we are dedicated to keeping your used car running and in top condition. After you find the pre-owned vehicle you are looking for around Green Valley, visit our full-service department to care for the car you invest in.